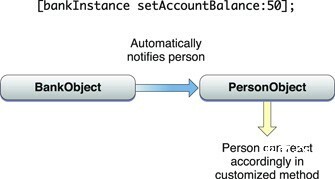 the 'account' object and specify that both the old and new values of "openingBalance"
should be provided in the observe… method. 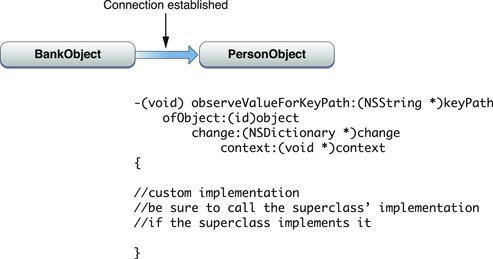 Be sure to call the superclass's implementation *if it implements it*. NSObject does not implement the method.